Home to the world-class University of British Columbia, nationally-renowned Simon Fraser Univerisity and a wide range of top-notch professional colleges, Metro Vancouver is one of the best places in Canada to pursue higher education. Use this Guide to Vancouver Universities & Colleges to find the best options for your education goals. 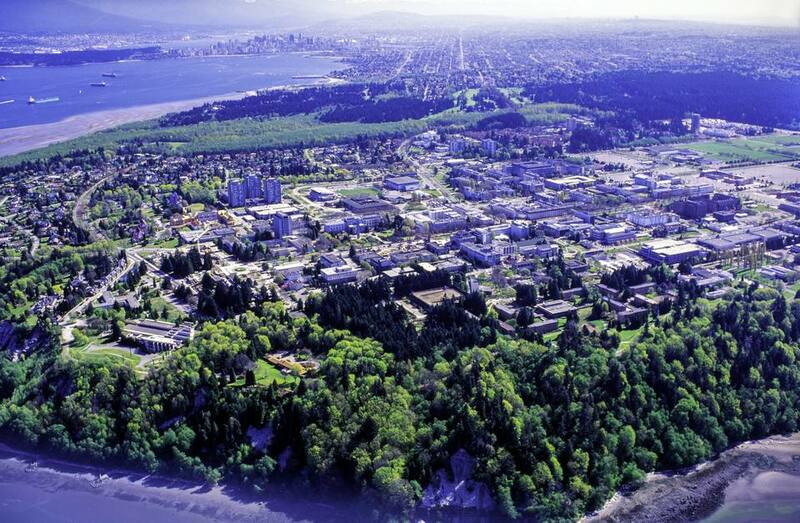 One of Canada’s top universities, University of British Columbia (UBC) is located near the southwestern coast of Vancouver, about twenty minutes from downtown Vancouver by car. UBC is recognized globally as a top-tier learning institution, placing 37th in the world in the Times Higher Education (UK) 2019 ranking. UBC offers a wide range of undergraduate, graduate and professional degrees; their site provides information on all programs, faculty, research, and more. Ranked as one of Canada’s top comprehensive universities for almost 20 years, Simon Fraser University (SFU) is home to more than 24,000 students and has campuses in Burnaby, Surrey, and downtown Vancouver. SFU offers more than 100 undergraduate major and joint major programs and more than 45 graduate degrees. The campus has also had a starring role in many movies and TV shows thanks to its futuristic architecture. Located in North Vancouver (about 20 minutes north of downtown Vancouver), Capilano University offers Bachelor degrees in a number of fields, including business, education, and music therapy. The University also offers post-BA courses, and has a particular specialty in music. Canada’s oldest independent international college, Columbia College is located in the heart of Downtown Vancouver and offers University Transfer and Associate Degree programs, as well as ESL and English preparation programs. Located approximately 20 minutes south of downtown Vancouver by SkyTrain (Vancouver's rapid transit system), Langara College provides University Studies, Career Studies, and Continuing Studies programs and courses to more than 20,000 students annually. Vancouver Community College (VCC) has locations in both Downtown Vancouver and on E Broadway (just south of the Downtown core). VCC provides over 140 career-oriented certificate and diploma programs, including courses in health, hospitality, business, ESL, adult basic education and University Transfer, and offers both full- and part-time study options. British Columbia Institute of Technology (BCIT) has five campuses in the greater Vancouver area, including a downtown campus and one on the Great Northern Way. BCIT has programs for full-time and part-time students, including applied Bachelor Degrees and a range of certificates and diplomas. Located next to SFU's Surrey campus, Stenberg College specializes in health care and human services education, offering a wide range of professional programs; it has a job placement rate of over 96% in​ the area of study within six months of graduation. Established by the B.C. government in 1981, Kwantlen has four campuses in Metro Vancouver: Surrey, Richmond, Langley, and Cloverdale. Kwantlen offers bachelor's degrees, associate degrees, diplomas, certificates, and citations in more than 200 programs; over 17,000 students attend Kwantlen annually. Situated in the heart of Downtown Vancouver, Blanche Macdonald Centre is a fashion and beauty college that specializes in teaching students the basics of fashion merchandising and marketing, as well as applied courses in hairdressing and make-up. Courses are taught by industry professionals in real-world situations to prepare students for careers in the film, TV, fashion and beauty industries. Founded in 1987, Vancouver Film School serves students who want to break into the film industry in Vancouver (aka Hollywood North) with 13 entertainment art courses that focus on the various facets of film from screenwriting to directing. The Chinese city of Shanghai chose the school as a partner to help them build a film industry and so students often find career opportunities in North America and China through the courses. Director Kevin Smith attended Vancouver Film School and he now offers scholarships to enable up and coming filmmakers to study at VFS too.